Home / Fast Facts / Martin Truex Jr. / Paula Thompson / Fast Facts Redux: Martin Truex Jr.
Fast Facts Redux: Martin Truex Jr.
Martin Truex Jr., driver of the No. 78 Furniture Row Toyota Camry in the Sprint Cup Series, gave us all a reason to smile after his win in the Coca Cola 600 a couple of weeks ago. Find out more about this second-generation New Jersey-born driver in this week’s Fast Facts, originally published in Oct. 2012. Martin Lee Truex Jr. was born June 29, 1980 in Trenton, New Jersey and grew up in Mayetta in the Stafford Township. His father was a former race winner in the Busch Grand National North Series (now the K&N Pro Series East) who also owned a seafood business in Mayetta, New Jersey. Truex Jr.’s younger brother Ryan is a two-time K&N Pro Series East champ who currently races in the Camping World Truck Series for Hattori Racing Enterprises. Truex Jr. started racing go-karts at age 11, then progressed to modifieds at age 18 at the famed Wall Stadium Speedway in New Jersey. In 2000, Truex Jr. moved up to the Busch North Series, winning five races in four seasons with his family-owned team. In 2003, he was approached by Dale Earnhardt Jr., who at the time operated Chance 2 Motorsports in cooperation with Dale Earnhardt Inc.; Truex Jr. competed in 10 Busch Series (now Xfinity Series) races that season – six for Chance 2/DEI, three for the family team and one for Stanton Barrett – before going full-time with Chance 2 in 2004. In 2004, Truex Jr. won six times and captured seven poles on his way to his first Busch Series title, then matched that in 2005 with another title, six more wins and three poles. In 2006, Truex Jr. moved up to the Nextel Cup (now Sprint Cup) Series full-time with DEI after having made nine starts in 2004 and 2005 for the team. He earned his first career win at Dover International Speedway and made the Chase for the Cup for the first time. In 2010, Truex Jr. left Earnhardt Ganassi Racing (formerly DEI) to drive for Michael Waltrip Racing, where he raced until the end of the 2013 season. For the 2014 season, he joined Furniture Row Racing in the No. 78, and in 2015 snapped a 69-race winless streak with a popular victory at Pocono Raceway. He went on to finish fourth in points, giving himself and FRR their highest points finish ever. Off the track, Truex Jr. is an avid outdoorsman who enjoys hunting and fishing. 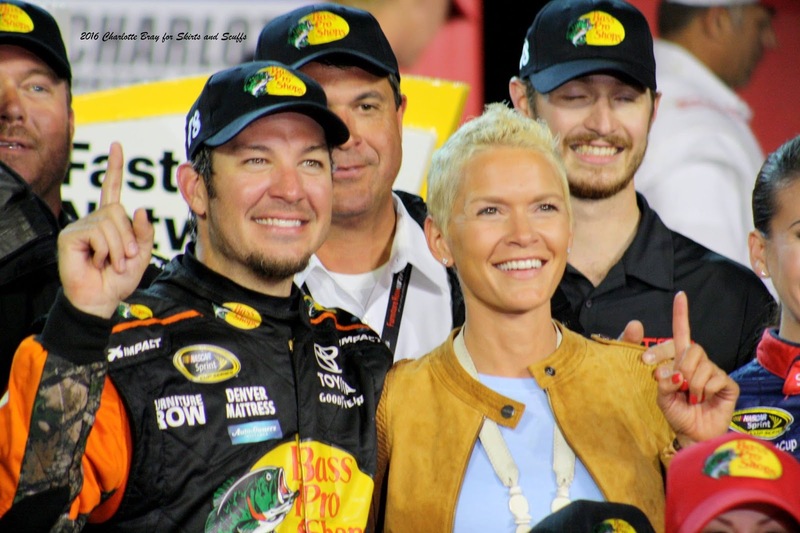 In 2007 he and his girlfriend Sherry Pollex created the Martin Truex Jr. Foundation, which works to support underfunded cancer initiatives specific to ovarian and childhood cancers, and assist the individuals and families affected by them; fundraisers include an annual golf outing and the Catwalk for a Cause fashion show. Find out more about Truex Jr. at www.martintruexjr.com, and find out about his foundation at martintruexjrfoundation.org.